My Simply Earth Recipe Box has Arrived! There are two things I love most...getting a surprise in the mail and living a healthy and natural lifestyle with my family. You can only imagine how excited I was to receive my Simply Earth Recipe Box in the mail! As a small business owner, I appreciate small companies that value their customers. 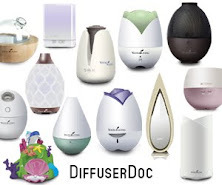 Simply Earth started as a way to help make our homes natural through using essential oils. This family owned business is dedicated to providing customers with quality and safe oils while eliminating the middleman. They work directly with the farm and ensure we are receiving quality and safe oils. Having a company to trust such as Simply Earth is greatly appreciated. Thank you! One of my favorite things about Simply Earth is their dedication to help fight human trafficking. With each purchase, 13% of all sales goes to help end human trafficking. My April box came with 4 essential oils, Castile Soap, recipe cards, and a spray bottle to make one of favorite recipes. The Foaming Hand Soap recipe is first on my list to make! 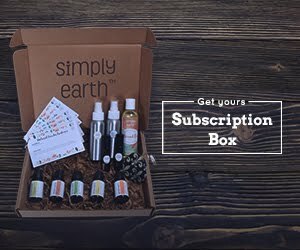 Simply Earth's subscription box makes for the perfect gift or monthly surprise to help keep your home safe with pure essential oils. I have exciting news! I have joined the Squad at Simply Earth and using the code SUBURBIAMOMFREE you can receive $20 towards a future purchase. When you subscribe using SUBURBIAMOMFREE or using my personal link you will receive a $20 gift card with your initial subscription box and every first purchase comes with a BONUS BOX!!! The Bonus Box comes with your first purchase. It is packed with so many goodies! My box came with roller balls, bottles to make my own recipes, Coconut Oil, Almond Oil, and Beeswax! What a fun way to start a subscription! With Mother's Day coming up, you can guess what I am gifting my mother! She was over when I received the box and her eyes lit up! I knew right away this would make the perfect Mother's Day gift! Comment Below on what oils you'd love to see in your next Simply Earth recipe box. 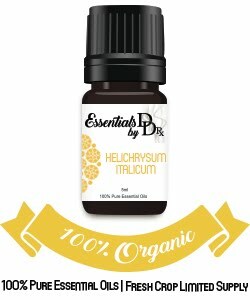 We'd love to know what your favorite essential oil is.